Dual steering cruiser ideal for all weather cruising, providing generous accommodation for two. 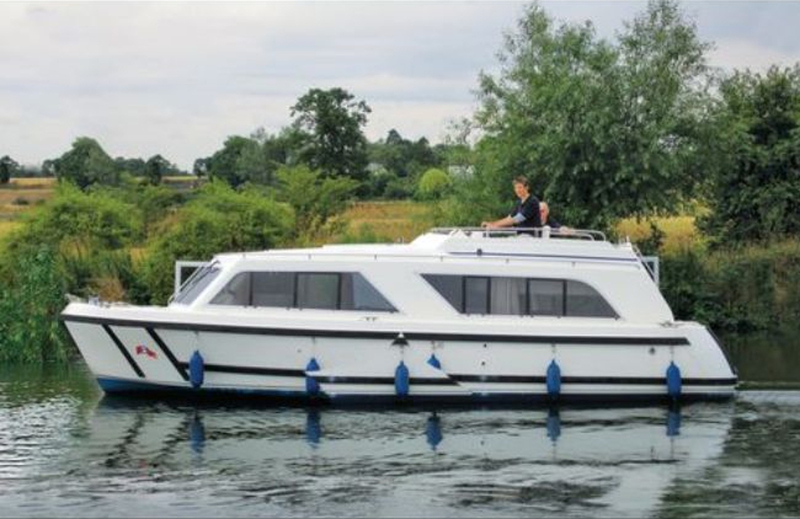 Spacious saloon with dinette, large picture windows and convertible double berth, fully equipped galley, large fixed double berth in the rear cabin. Ex hire fleet. Beds: Double in cabin & double in saloon. Sliding roof, fitted carpets (exc galley), warm air heating. Rear cabin with large double berth, wardrobe & dressing table. Shower room with toilet and basin.